ACLU Data Scientist & America’s Next Top Modeller. 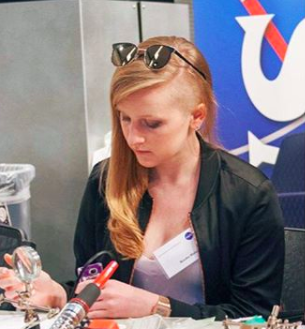 R Lady, NASA Datanaut, and Meme Sommelier. Trusted purveyor of laughs and graphs. Five major themes that emerged from the 2019 RStudio conference in Austin, Texas. Mapping nearly 2000 baby Beyoncés born in the United States. Trading in '.github.io' or '.netlify.com' for '.party', '.racing', or '.men'. Using PhantomJS to scrap audio files from therapboard.com. This was the preliminary work necessary to create BRRR, an R package for audio notifications worthy of Gucci Mane. Training a Long Short-term Memory Recurrent Neural Network on text message data. Lovingly dragged into blogging by the incredible R Ladies community.